Having a dedicated hunt team scour months of historical log and other data is a strategy increasingly being adopted by CISOs as they fight to keep up with a growing number attacks, says a new report. 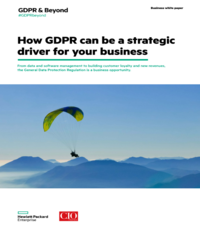 The finding is one of several in the latest State of Security Operations report released today from Hewlett-Packard Enterprise, which annually goes back to a number of customers it has helped build security operations centres (SOCs) – usually a paid consultation – to find out if their cyber security maturing is improving. This year’s report included 28 assessments. However, a company executive warns that no matter how skilled a hunt team is it can’t replace real-time analysis of network data. In fact it is so popular that some organizations have decided analysts should hunt all day long, he said, instead of having staff look at data streaming hourly from security information event management (SIEM) suites. One reason, he said, is the jobs require different skills: Those with so-called ‘eyes-on-glass’ know how to recognize signs of malicious email or distributed denial of service (DdoS) attacks that don’t show up in the gigabytes of data in a data lake. Shriner also noted that hunt teams need to have a combination of data analytic and cyber security skills. One other related finding cited in the report: Significant time and effort had to be spent on on data hygiene, contextualization and preparation before hunt teams are able to distinguish true threats from misconfigured systems and process deficiencies in the management of IT assets. –Security operations centers continue to struggle with development of metrics that communicate an effective business contribution. Most SOCs create metrics packages that report technology attributes like system health, policy level, and functional performance. But these numbers don’t show what the business side cares about: a reduction of risk, an increase in security and satisfaction of compliance objectives. –the creation of so-called security fusion or internal information sharing centers in large organizations with multiple lines of business or operations in several regions, each of which has its own security operations centre. A fusion centre provides process governance, threat information sharing, and security expertise that allow either each of the subscriber SOCs to collaborate better, or to fold down and become functional customers to one of the SOCs at a more mature service stage. –offloading routine work to managed security service providers – creating the so-called hybrid SOC – can be worth it, particularly if the infosec team then focuses on more important work. It can help retain security staff Shriner, notes. But the relationship has to be managed. “Successful services relationships go beyond superficial vendor management to standard industry SLAs,” says the report. They require service transparency and interactions that allow security leaders to assess service performance quickly through established key performance indicators which ensure the financial and risk considerations that led to outsourcing in the first place are still being satisfied. “Organizations are doing both [running internal SOCs and outsourcing some functions], that have the right mix, tend to be the most effective (and) have less turnover,” said Shriner. –public sector SOCs are struggling to grow beyond what HPE calls a Managed maturity level (level 2 on a five point scale). That’s not bad, the report adds – such SOCs have a high degree of repeatability in functions and relevant stakeholders are involved in operations. But they also suffer from misaligned expectations, lack of continuity of personnel and rigid organizational roles and responsibilities. “Effective public sector SOCs benefit a great deal from internally sourced operational leadership that provides oversight and measures success in terms of reduced risk, improved security, or satisfactory compliance,” says the report. — SOCs are spending a large portion of their time identifying misconfiguration issues. Ideally these issues would be handled by an IT team freeing up the security operations organization to focus on identifying and investigating attacks.